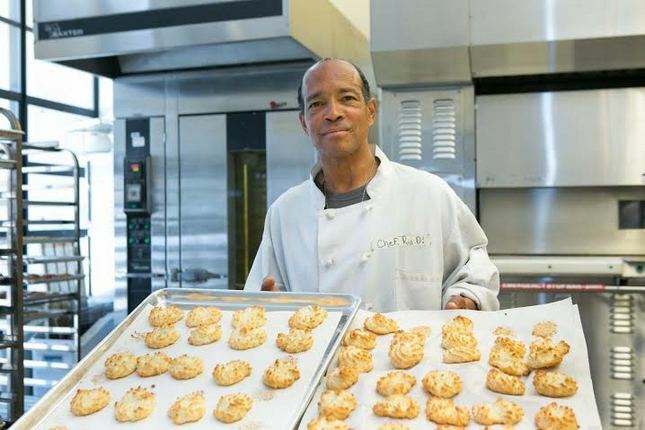 Mario Burrell shows off his baking skills as a student in Laney College’s Culinary Arts Department. The Culinary Arts Department offers two certificate programs, Restaurant Management and Baking and Pastry. Many of the classes are approved by Retail Bakers Association and National Restaurant Association.